So you want to be an Ironman? The 2016 challenge! The date – 26th June 2016 is when the Ironman 70.3 event is being held at Wimbleball Lake on Exmoor. So that’s D-Day, the point at which I’ll have to be ready to compete in my first ever Ironman event. The course – The 70.3 in the title equates to is the distance in miles, which breaks down into a 1.2 mile swim, a 56 mile bike ride, ending in a 13.1 mile half marathon. 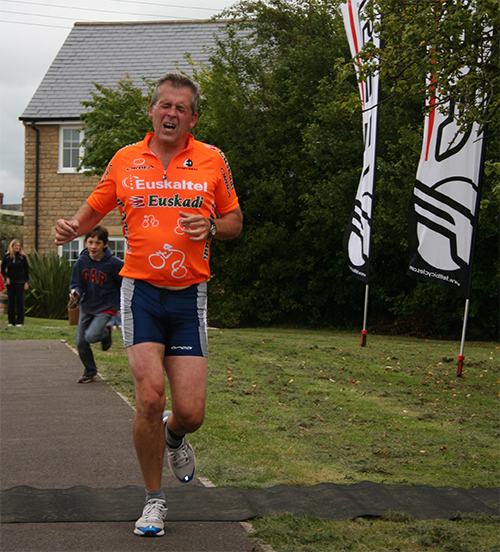 Me – I’m a reasonably active 51 year old dad, who’s a couple of Malmesbury mini-triathlons a few years back, but I’m fair from being a seasoned amateur triathlete. 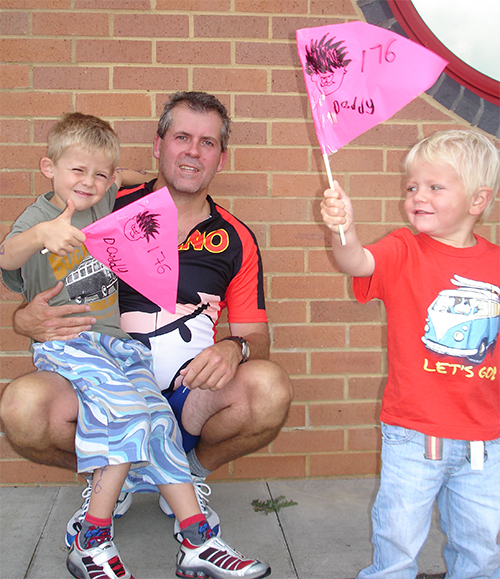 The cycling – I do a fair bit of cycling on the road, mountain bikes and, most recently cyclocross. In August 2015 Ian and I rode 100km around the high passes of the Lake District, so 90km round Exmoor doesn’t hold too many concerns. The running – I’m fairly happy slogging round the fields near Malmesbury, and can do 7km quite comfortably. But it always feels like a slog, which means a slow jog, rather than an enthusiastic run… so work required on the run, but with some training for cyclocross in parallel, I’m not too fazed by this. The swimming – hmmm, where to start. I love being in the water and can swim in the holiday surf for hours, but a pool is a different beastie. 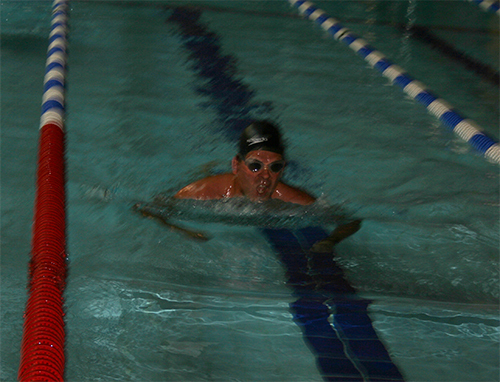 I don’t doubt I can swim lengths for an hour, but it wouldn’t be pretty or graceful or fast – two lengths of front crawl of our local 25m pool is about my limit before resting with some breast stroke. 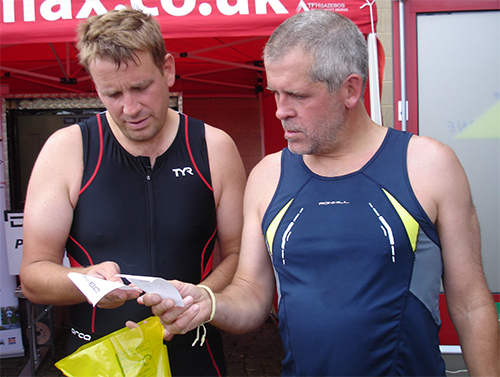 The 70.3 swim is the equivalent of 76 lengths, and it’s in a lake… so the swimming is going to be where this whole challenge really does sink or swim! So, as of the 10th September 2015, that’s the starting point. I think that I’ve got the remainder of 2015 to prove to myself, with some structured training, whether an Ironman 70.3 is a feasible challenge. If it’s not coming together in terms of the running and swimming by Christmas then it’s off, but I’m extremely upbeat that that won’t be the case. Previous PostSpecialized Grail gloves – Best mitt ever?